There are plenty of great girls names of the three-letter-ends-in-"ia" variety. The reigning queen for quite some time has been Mia - in Australia, the US and UK she was a top 10 name (at #5, #8 and #10) in 2013. But no-one loves her more than the Germans. In 2013 Mia was their number one girls name! 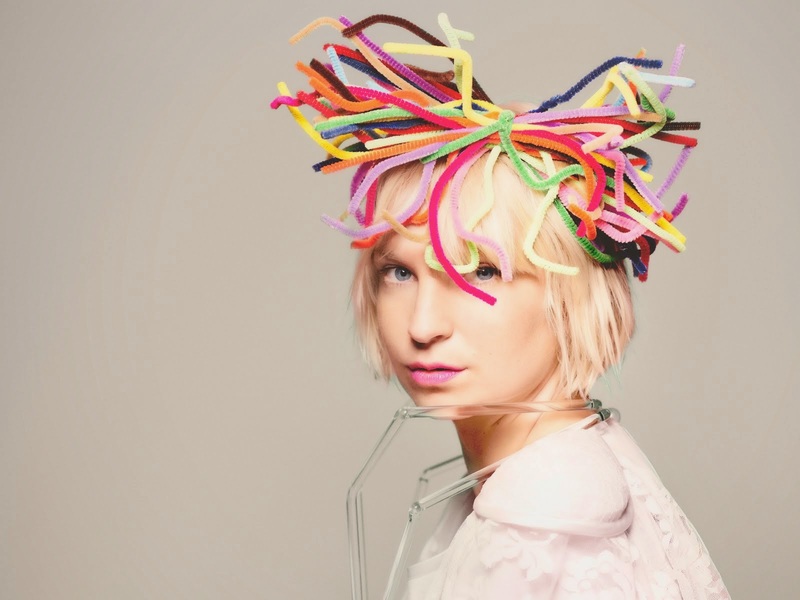 At the other end of the spectrum you'll find Sia, pronounced SEE-ah. In the US she was ranked #2979 in 2013, so is much, much rarer. Up until a few years ago you may not have heard of the name, but an Australian musician by the name of Sia has been giving this name a lot of exposure, albeit in an understated fashion. You may recognise the name but have trouble placing her. Sia has been in the music industry for years, collaborating with many great artists. In 2010 she worked with Christina Aguilera, gaining a Golden Globe nomination for best original song from the soundtrack of 'Burlesque' and appearing as an advisor for team Aguilera on 'The Voice'. She had continued success with her next (and fifth studio album) 'We Are Born'. She was the vocals on the David Guetta track 'Titanium', and more recently had a chart topper with 'Chandelier'. And as an aside, if you haven't seen the Jim Carrey skit on 'Saturday Night Live' based on the video clip for 'Chandelier', you should. It's hilarious. Persian in origin, meaning 'one who brings joy'. Whichever it means, it feels like the time is right for Sia to rise. She's just different and quirky enough to feel fresh and cool, yet familiar enough not to be intimidating to parents debating whether it's usable. Or maybe you think this would make a cute and spunky nickname. In which case you might want to consider names such as Anastasia, Sienna, Elyssia, Alexia, Cassia or even Sophia for the birth certificate. Give it a few years and I'm sure you'll notice many more Sia's turning up in birth announcements. Love this! My daughters name is Sia (yes we named her after the singer) and I only knew of the Persian meaning. Great to learn all the others too, I love the name! I named my daughter Sia because it means One who bring Joy in my mother tongue. ... Chagga tribe in Tanzania. Didn't know it means the same in Persian! I love the name. She is such a Joy. Wow!its good to know that I can also name mine Sia when she comes along. Now that I know what it means in chagga I'm from Kenya. In ancient Egypt "Sia" was the name of a (male) god, the so called general of Lower Egypt, who embodied mind, insight and wisdom. As Wiki tells he (Quote) "also had a connection with writing and was often shown in anthropomorphic form holding a papyrus scroll. This papyrus was thought to embody intellectual achievements." They also refer to Sia as "the knowing one". Another source names the Kissi people living in Guinea, Liberia and Sierra Leone as a source for the name. In their Kisi language Sia means first (born) girl of a family. I am from Liberia, West Africa and my daughter's name is Sia. In my culture, Sia is the first girl child from her mother. Mom's second daughter will be Kumba and third Tawa. If Dad had a girl child from a previous marriage, but this is mom's first girl, she will be named "Sia" non't kumba. The name order is base on number of children had by mom and not daddy. If mom's first is a boy, he is Saah, second boy Tamba..
Hi, my name is Sia J. My origin is from Kono, Sierra Leone. Sia is the Kono tribe means first girl.